School started and Fall, as always, descended upon us at once, mourned again by the whippoorwills, that who had to migrate to warmer lands. I had come to grips with the ghosts; whether true ghosts or poltergeist activity by my wacky teenagers. The house blew a lot of fuses that strangely, flew clear across the large basement, a good thirty feet—which baffled Butch. It happened mostly on weekends when he was home to change the fuses and always in the middle of a good television show. Butch had traded the white pickup truck, aka camper, for a ridiculous looking UPS truck, painted a bright orange. Inside, it was nicely furnished as a large camper, with a kitchen, bed and bath. It had two comfortable, large swivel chairs in front which made for comfortable driving. He’d had enough of New Jersey and took a job in Massapequa, Long island, working for a Ground Round Restaurant, as General Manager. It was about an hour and a half from our old home in Island Park, Long, Island. Our friend, Danny, from Benny’s, had also moved back to New York and told him about the job. The traveling time was longer than from New Jersey, but Butch was more comfortable and loved the job. It was similar to what he did at Benny’s, except more a family style restaurant—a cross between fast food and fine dining. That Sunday he left early for his long ride back. The younger girls and I were all home watching the movie,”Halloween,” when we heard odd thumping sounds from the basement. The ghosts never appeared there, and I feared an intruder had come in through the unlocked basement door. I grabbed the shotgun and put a shell into it, hoping not to have to use it and break my shoulder or hip. I peeled Nicole, who had wrapped herself around my legs, to keep me from going downstairs, off me and made her sit down and be quiet. I snapped my fingers for Sheba to follow me downstairs, although the usually good watchdog hadn’t barked at the noise. I quietly opened the door to the basement, warning all the kids to stay on the couch. They actually obeyed. Maybe it was the sight of me brandishing a shotgun. Sheba stayed behind me, brave dog that she was—watching my back, I supposed. I tiptoed down the steps, scanning the basement, shotgun ready to fire, when I saw a large potato at the bottom of the steps. I held my fire. The menacing spud had fallen off the pantry shelf and thumped down the basement steps. I tried to bribe the kids to secrecy, but never lived down the story of the night that Mom nearly shot an Idaho potato. I'd recommend this well written book to anyone looking for a page turner. 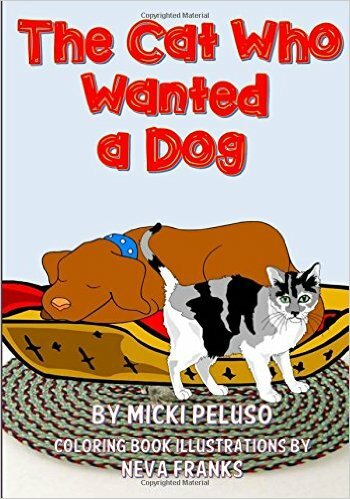 Although there is sadness, Micki was able to intrigue the reader with laughter throughout her book as she lovingly shared tales of her family life. 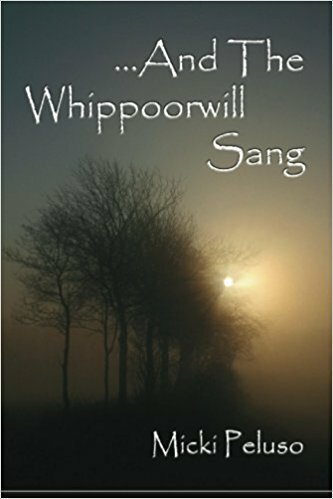 There is so much love written between the pages of "And the Whippoorwill Sang" and the best part is Micki just tells it like it happened with no sugar coating. I just love it! Sharla, thanks so much for your kind words. This is a lovely memory and it is one that will bring you to laughter and to tears because times have changed. Yet, the hope is still planted here in this story. I see it in the obedience girls that sat on the sofa, not moving an inch, because they knew that Mommy would return. That is undoubtably faith in action! Thank you Dear Heart for sharing this story. I needed to hear this, this morning. It is simply excellently written with your sense of Bombeck humour that can't be missed. Hi, Pat. 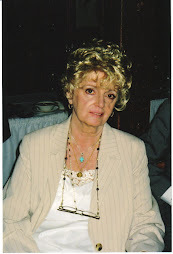 I couldn't help but think of Erma Bombeck too as I read Micki's story. Her writing is so transparent and she has such a down to earth sense of humor, she draws you in and invites you call her your friend. Great story, amazing writer!